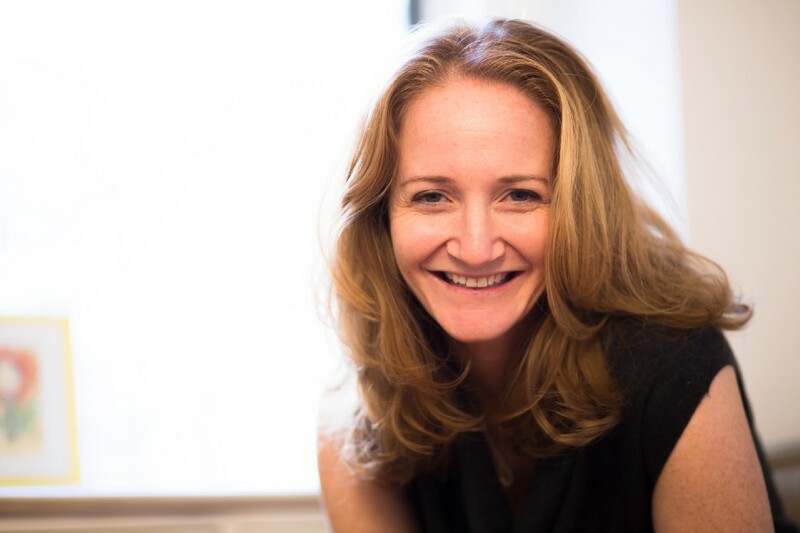 Carey Davidson is the founder and CEO of Tournesol Wellness, the leading holistic health and education community in New York City. Carey established Tournesol to empower people and organizations with a groundbreaking system that builds self-knowledge, self-acceptance and mastery of our individual gifts. Carey brought Vibroacoustic Sound Therapy to the tri-state area and created two landmark programs, Success Alchemy for individuals and T.E.A.M for corporate. These programs leverage dynamic science-based methodologies to design toolkits for sustainable growth. 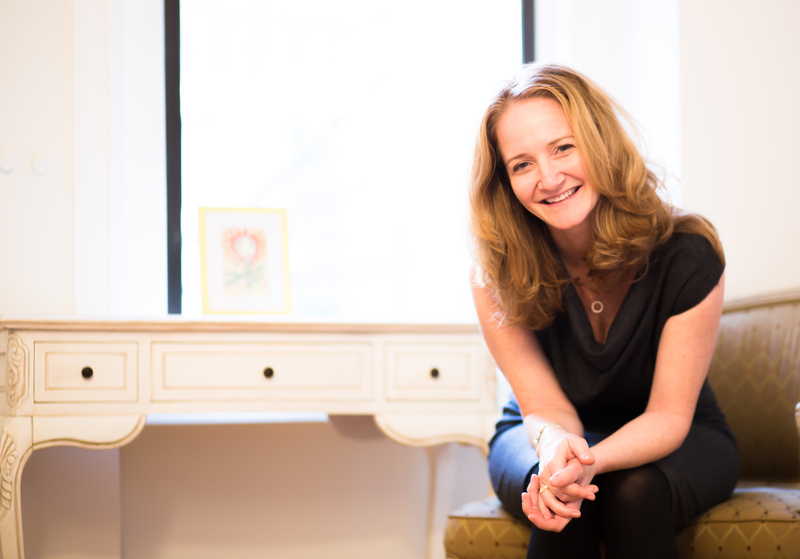 Carey is also the Co-Founder and Executive Director of Tournesol Kids, a non-profit that teaches children self-awareness, empathy and self-regulation skills through online education, workshops and community outreach. I grew up in Memphis and left to study communications and filmmaking in New York City. After college I started working at Columbia University and spent eleven years running the Human Resources department for the undergraduate school. It was then that I realized I needed to be guiding people toward practices that improved engagement and enhanced communication. When my third child turned two, I shifted gears and moved into the non-profit arena. I drove organizational improvement and increased charitable giving for NGO’s that served at-risk youth. I led three non-profits and started two of my own. One of the organizations I ran was a support program for kids at Columbia Presbyterian Hospital. There I became frustrated by the current medical model. People were not given adequate resources to make healthy lifestyle choices and take more control over their health. I knew my body. I understood my kids. I wanted to be an equal partner in my road to whole health and I wanted that for all people. In my determination to find a better system, I started an integrative health center of my own. My vision was to combine frontier science and proven wellbeing practices to give people a roadmap for life long success. And that’s how Tournesol was born. My foray into the natural art of Ayurveda began in the summer of 2017. Ayurveda is an ancient Indian practice of the science of life, a modality that has always fascinated me. Dr. Naina Marballi, a kind, gentle and wise woman, taught me that summer. A couple months into the program I scheduled a private session with her. Shortly after I sat down in her office, she asked if she could take my pulse. I extended my right arm and she corrected me. “We take a woman’s pulse with the left hand.” I blushed and gave her my left. I probably should’ve known that. We both closed our eyes. She gently placed her middle three fingers below my left thumb and I waited, wondering what she might feel. After opening her eyes, she explained the exact physical and emotional concerns I had come to discuss with her. She felt them all entirely through my pulse. It was absolutely fascinating. The most interesting comment Dr. Marballi made was that my Atma was interactive. Atma translates directly as “soul,” but she was actually referring to my intuition. Dr. Marballi could tell just from my pulse that my intuitive abilities were strong, which absolutely blew me away. Interestingly, my biggest challenge also happens to be my greatest advantage. I have always been an eternal optimist and I’ve always loved building relationships. This has served me very well in my personal and professional life. However, to be truly successful, I needed to balance my idealism with some healthy skepticism, which is not always so easy. When I first started Tournesol I was a newbie entrepreneur. Every potential partnership and project was fodder for excitement and premature celebration. I hadn’t yet developed my skill of discernment, nor appreciation for the growth process. To overcome this challenge and balance out my optimism, I had to first become more self-aware in the moment when it was happening. It was so natural for me to feel excited about potential, that I had to remind myself to pause and take time making decisions even when I felt great about them. Now I’ve built a system to protect my time and better evaluate the quality of potential projects. I’ve made myself less available and have gatekeepers evaluate requests for meetings. I’ve also asked people seeking collaborative opportunities to submit proposals for review by my board of advisors. These small efforts have made a big difference for me and I’ve made more solid business choices as a result. In my opinion, a good leader is a self-aware leader. It’s important that leaders know their strengths and vulnerabilities and that they become resilient in the face of stress triggers. Resilient, self-aware leaders can predict and overcome roadblocks to success and inspire others to do the same. I inspire others to lead by setting a healthy example. For instance, I create a safe environment where a team can grow. If the team feels safe, they will be honest, take risks to benefit the company and communicate needs and concerns without fear of criticism. When staff feels safe, the company operates more effectively. Karan Neilson, my business consultant, was my first call when I thought of starting Tournesol. I described my vision and she confirmed that I was indeed born to do this work. To make sure I was truly prepared to start my business, she emailed me a 50-page business plan to complete. With her help, I was determined to change the world. Back then, I worked full-time as a newly divorced mom of three. I really wanted to make my business a success and I stayed up five nights a week until 2 or 3 in the morning working on the business plan. I must’ve turned the finished product in to Karan five times before she agreed to take me on as a client. For the past six years, Karan ever-so-patiently taught me to see myself when I didn’t have the perspective. She helped me understand the importance of not getting too excited about new ideas and potential projects, but to pause, take a breath and examine the good and the bad. She reminded me to take a walk when I’m not feeling clear minded. She taught me that sad = hopeless and when you get hopeless, you don’t believe there is a possibility for growth. I’m deeply grateful for Karan’s guidance and wisdom as I navigate my entrepreneurial journey. It was certainly difficult to fit my life into my business at first. I changed tremendously as a result of becoming an entrepreneur. I had to. The demands of this lifestyle were enormous, but profoundly rewarding. Early on in Tournesol’s lifecycle, I came to the realization that I wasn’t only creating a new platform for health, I was creating a new me. I was stronger, more confident, more connected. These shifts led me to be more attracted to people with similar qualities. I craved the company of people who challenged me, who I could learn from and who wanted to learn from me. I redefined my world when I became an entrepreneur. I made things work well by surrounding myself with people, ideas and experiences that uplifted me and helped me grow. There are certainly areas of my life that have suffered as my success has grown. I don’t travel as much and I have less time with friends and family. I watch almost no TV and weekends are no longer spent on home improvement. I can’t say I miss television, but I have had to make sure to schedule in quality time with loved ones. Becoming a business owner taught me the importance of structure. I am now much more scheduled than I have ever been and I love it. The structure grounds me and allows me to reflect on what I’ve accomplished in a day. It also makes it easier to find time away from work to connect with the important people in my life. Leaders perform best when they are resilient to day-to-day stress. Every person has five basic needs for growth. Each has a physical and behavioral component. Socialize, get silly and make time to play. Also practice naming your feelings to build the skill of emotional flexibility. Eat foods that are right for you. Check with an acupuncturist or an Ayurvedic nutrition specialist for an eating plan. Also practice the skill of conversation by spending time speaking to people for the sole purpose of showing them you care. Practice breathwork, especially the exhale. The out-breath initiates your parasympathetic nervous system and triggers a relaxation response. Also practice structuring your day to build a sense of safety. Get good sleep. Also practice listening by closing your eyes and becoming aware of the sounds around you. This helps you grow patience. Get moving. Exercise each day. Also practice planning, which helps you not get stuck in worry and overwhelm. My most profound sense of accomplishment comes from my kids. I smile inside when they show compassion, let go of needing to be right and appreciate the world from someone else’s perspective. I experienced this recently with my son, Zach. This past summer, he and I visited Poland together. He planned the trip impeccably and we made the most of every moment. He’s much better at the details than I am. He’s an engineer and I’m more of a creative. One afternoon we took a tour of a cemetery destroyed by the Nazis during WWII. It was really hard to be in a place so defiled and desecrated. In every direction headstones were toppled and broken, left untouched for decades. At the end of a long walkway standing tall amid the rubble stood one lone sunflower stalk with four large blooms. There was something eerily wrong, though. Each of the four flower heads drooped toward the ground as if in mourning. Zach caught my eye with a knowing look. He knew what I was thinking, and as uncharacteristic as it was for him, he agreed with me. We witnessed a miracle in those flowers. Healthy sunflowers don’t face the ground. They face the sun. It’s their nature. And my engineer son doesn’t believe in miracles easily. We walked back to the car in silence. I was incredibly proud to share that moment with him and loved that he really appreciated what he could learn from my perspective. This is a great question. I’ve spent a lot of time reflecting on what mark I want to leave on this world. To bring the most good to the most people, there is no question that I would start with children. Our kids are our future. If we don’t empower them with tools for success, we will continue to see suffering on every level; physical health, family structures, educational institutions, governments, global peace, our food sources and our environment. I believe the epidemic of our time is disconnect. We are disconnected from our bodies, from our relationships, from our behavior and from our purpose in this life. As a result, anxiety and depression is on the rise along with lifestyle diseases that are highly preventable. It is more critical now than ever that we give our kids the skills to build a good life for themselves and to enhance their local and global communities and institutions. I’ve actually built the platform for my dream movement with my non-profit, Tournesol Kids. I’m proud of the impact we’ve already had across the globe imbuing kids with self-awareness, empathy and self-regulation skills. I’m humbled to do this work in my lifetime and I’m excited for our continued growth.